Similar to the mission of the City of Los Altos, the mission of the Friends of Los Altos is to maintain and foster the City of Los Altos as a great place to live and to raise and educate a family, by protecting its essential character so cherished by Los Altans. Collectively, the Directors of the Friends of Los Altos have lived in the City of Los Altos for over 125 years. Their extensive leadership experience includes over 40 years on the Los Altos City Council and the Los Altos School District Board of Trustees. They have served as the Mayor of Los Altos for five years, and as officers of the Los Altos School District Board of Trustees as well as several Los Altos Commissions. Their service to Los Altans also includes leadership positions with a broad range of non-profit organizations, including the Boy Scouts, Los Altos Neighborhood Network, Los Altos Village Association and the Rotary Club of Los Altos. Three Board members have been honored with Los Altos-Los Altos Hills Joint Community Volunteer Service Awards. ​Jon Baer and his family have lived in Los Altos for the past 18 years and are meticulously restoring their Local Landmark No. 1 historic home near downtown Los Altos. Jon has been active in the community in a number of roles. He has served on the Los Altos Planning Commission and its successor, the Los Altos Planning and Transportation Commission, for the past seven years and has been elected Chair twice. Jon has also served on a number of committees which have looked at downtown design guidelines and evaluated parking options. He served as Treasurer on the Board of Directors of Los Altos Neighborhood Network from 2005 until its consolidation with FOLA in 2013. Jon is also a trustee of the MVLA Foundation High School Endowment, and serves on the Friends of Historic Redwood Grove committee, a Los Altos Community Foundation designated fund. Professionally, Jon is Managing Partner of Threshold Ventures and is a recovering venture capitalist who has worked with early stage companies for more than three decades. He was also the founder and CEO of two venture-backed companies, one a spin-out from SRI International. 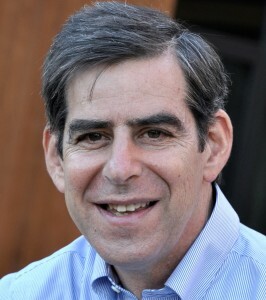 Earlier in his career, Jon was a General Partner at Oscco Ventures, a Sand Hill Road early-stage venture capital firm which was one of the pioneering firms in Silicon Valley. Jon now spends his time teaching, mentoring and advising early-stage companies around the world. He is also a mentor for Stanford University’s StartX incubator. Jon earned a BA in Biology and a BS in Engineering Science from Tufts University and an MBA from Dartmouth’s Tuck School of Business. ​Ron Packard and his wife have been residents of Los Altos for over 30 years, where they raised their five children. Prior to moving to Los Altos, Ron was twice elected to the Mountain View City Council, and served as its mayor. In the early 1980s, he was a founding director of the Los Altos Educational Foundation, and has been a strong supporter of the local schools. Ron was twice elected to the Los Altos City Council, and twice served as its mayor. 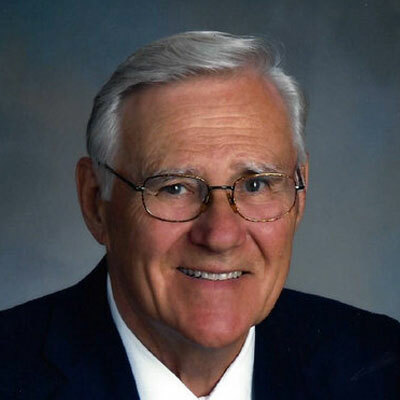 He has served or is currently serving on several local nonprofit boards, including the Los Altos Village Association, the Peninsula Symphony, and KMVT 15 Silicon Valley Community Media. He served as the Boy Scout Master of Los Altos Troop 22 for a number of years, and is an Eagle Scout himself. Ron’s service to the Los Altos community was recognized by the Los Altos-Los Altos Hills Joint Community Volunteer Service Award Committee, who selected him to receive this prestigious award in 2014. Ron’s education included a Masters in Public Administration from UC Riverside, an MBA from UC Berkeley, and a Juris Doctorate from Hastings School of Law. He has been a practicing attorney for over 40 years, and is the President and shareholder of Packard, Packard & Johnson, P.C., which specializes in complex national litigation. Ron co-founded and serves as the Chairman of the Board of Directors for Marich Confectionery, which has over 200 employees and makes and nationally distributes gourmet confections. He and two of his brothers own the two-story office building at the corner of Main Street and W. Edith Street in downtown Los Altos. ​Lou Becker and his wife have been residents of Los Altos for over 50 years. He is a former Mayor of Los Altos and served on the Los Altos City Council for twelve years. Lou’s service to the Los Altos community was recognized by the Los Altos-Los Altos Hills Joint Community Volunteer Service Award Committee, who selected him to receive this prestigious award in 2006. Lou currently serves on the Los Altos Village Association Board of Directors and The Terraces of Los Altos Advisory Board. Lou is a retired engineering manager with extensive international experience. In retirement, he has dedicated much of his free time to tutoring underprivileged students in the north peninsula area. Lou graduated from the University of Iowa and holds a Master of Science degree in Civil Engineering. ​Ken Lorell has lived with his family in Los Altos for over 30 years. Ken came to the Bay Area in 1965 from Southern California to attend school and after graduation decided to stay. 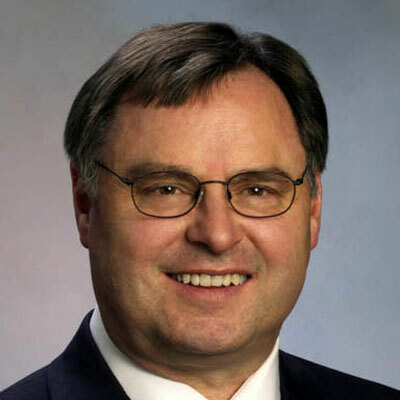 He retired as a Lockheed Martin Senior Fellow in 2011 following a career as a research engineer, first at the NASA Ames Research Center and for 30 years at the Lockheed Martin Advanced Technology Center in Palo Alto. Ken currently serves on the Los Altos Planning and Transportation Commission, where he has reviewed both residential and commercial/downtown projects and planning proposals. He also serves on the Board of Directors of the Los Altos Mediation Program and was one of the original founders of the Los Altos Neighborhood Network. Ken earned a Bachelor of Science degree in Physics from Harvey Mudd College, and Master of Science and Doctor of Philosophy degrees in Aeronautical and Astronautical Sciences from Stanford University. David Casas has been a part of the Los Altos community for twenty years. He is currently at Sereno Group in Los Altos, and is on the Government Ethics Advisory Board at the Markkula Center for Applied Ethics. From 2003 to 2012, David served on the Los Altos City Council, including two terms as the Mayor of Los Altos. 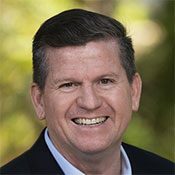 Before being elected to the City Council, David served four years on the Los Altos School District Board of Trustees, and four years on the Los Altos Parks & Recreation Commission. From managing local issues, to collaborating with top private and public sector leaders, David has worked to drive positive change. His leadership in both elected and appointed roles was recognized by the Los Altos-Los Altos Hills Joint Community Volunteer Service Award Committee, who selected him to receive this prestigious award in 2013. David earned a Master of Science Degree in Technology Management from Pepperdine University and a Bachelor of Science degree in Finance from San Jose State University. David also earned an advanced certificate in Corporate Community Involvement, and a certificate in Corporate Citizenship Management, both from Boston College. Jon Baer and his family have lived in Los Altos for the past 18 years and are meticulously restoring their Local Landmark No. 1 historic home near downtown Los Altos. Jon has been active in the community in a number of roles. He has served on the Los Altos Planning Commission and its successor, the Los Altos Planning and Transportation Commission, for the past seven years and has been elected Chair twice. Jon has also served on a number of committees which have looked at downtown design guidelines and evaluated parking options. He served as Treasurer on the Board of Directors of Los Altos Neighborhood Network from 2005 until its consolidation with FOLA in 2013. Jon is also a trustee of the MVLA Foundation High School Endowment, and serves on the Friends of Historic Redwood Grove committee, a Los Altos Community Foundation designated fund. Professionally, Jon is Managing Partner of Threshold Ventures and is a recovering venture capitalist who has worked with early stage companies for more than three decades. He was also the founder and CEO of two venture-backed companies, one a spin-out from SRI International. 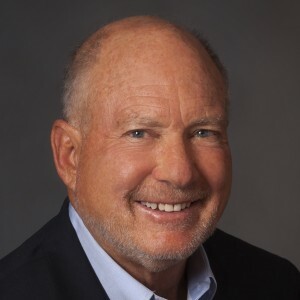 Earlier in his career, Jon was a General Partner at Oscco Ventures, a Sand Hill Road early-stage venture capital firm which was one of the pioneering firms in Silicon Valley. Jon now spends his time teaching, mentoring and advising early-stage companies around the world. He is also a mentor for Stanford University’s StartX incubator. Jon earned a BA in Biology and a BS in Engineering Science from Tufts University and an MBA from Dartmouth’s Tuck School of Business. ​​Ron Packard and his wife have been residents of Los Altos for over 30 years, where they raised their five children. Prior to moving to Los Altos, Ron was twice elected to the Mountain View City Council, and served as its mayor. In the early 1980s, he was a founding director of the Los Altos Educational Foundation, and has been a strong supporter of the local schools. Ron was twice elected to the Los Altos City Council, and twice served as its mayor. He has served or is currently serving on several local nonprofit boards, including the Los Altos Village Association, the Peninsula Symphony, and KMVT 15 Silicon Valley Community Media. He served as the Boy Scout Master of Los Altos Troop 22 for a number of years, and is an Eagle Scout himself. Ron’s service to the Los Altos community was recognized by the Los Altos-Los Altos Hills Joint Community Volunteer Service Award Committee, who selected him to receive this prestigious award in 2014. Ron’s education included a Masters in Public Administration from UC Riverside, an MBA from UC Berkeley, and a Juris Doctorate from Hastings School of Law. He has been a practicing attorney for over 40 years, and is the President and shareholder of Packard, Packard & Johnson, P.C., which specializes in complex national litigation. Ron co-founded and serves as the Chairman of the Board of Directors for Marich Confectionery, which has over 200 employees and makes and nationally distributes gourmet confections. He and two of his brothers own the two-story office building at the corner of Main Street and W. Edith Street in downtown Los Altos. ​© 2013-2018 Friends of Los Altos, Inc. All rights reserved. Friends of Los Altos, Inc. is a 501(c)(4) organization.